Explain to your counselor the hazards you are most likely to encounter while participating in wilderness survival activities, and what you should do to anticipate, help prevent, mitigate, or lessen these hazards. 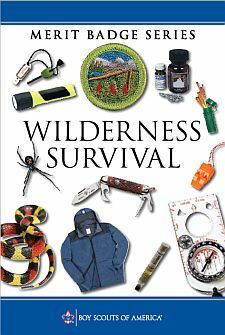 From memory list the seven priorities for survival in a backcountry or wilderness location. Explain the importance of each one with your counselor. Put together a personal survival kit and be able to explain how each item in it could be useful. Show five different ways to attract attention when lost. Demonstrate how to use a signal mirror. Describe from memory five ground-to- air signals and tell what they mean.